The U.S. Department of Veterans Affairs and UT-Southwestern researchers had bumped heads so often that the VA's inspector general recently recommended that it cut off funding to the Dallas school's research into the causes of Gulf War illnesses. Thankfully, cooler heads seem to have prevailed due to the intervention of Sen. Kay Bailey Hutchison and U.S. Rep. Chet Edwards of Waco. They say both sides are making reasonable concessions to keep this vital research project alive. That would be good news for thousands of veterans who returned home with mysterious, debilitating illness after ousting Saddam Hussein's troops from Kuwait in 1991. It also would be a victory for UT-Southwestern's Robert Haley, who for years was a lone researcher pursuing the roots of Gulf War illnesses. Whatever caused them remains a mystery. 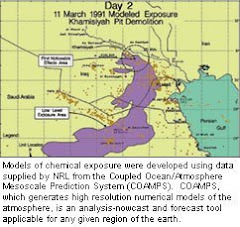 Possibilities include reactions to nerve gas, nerve gas vaccines, other chemical weapons, pesticides, depleted uranium munitions or some combination. Whatever it was, some returning veterans had their lives turned upside down and still don't know why. We hope the VA and UT-Southwestern are beyond the squabbles that had festered since Hutchison earmarked the original $75 million in 2005 to fund the five-year research program. The VA wanted researchers to provide medical records of veterans in the study, causing UT-Southwestern officials to balk and press for assurances that the records would not be used to deny benefits. UT-Southwestern also fought over payments for work rendered: Researchers had incurred about $19.2 million in expenses, billed the VA for $15.5 million but received only $9.1 million. Over time, these clashes almost brought the program to a sudden end, before Texas lawmakers played Dr. Phil. UT-Southwestern now says it will provide the records the VA wants in the form that VA officials want. In turn, the VA promises to not use the research to deny benefits. The sides also are working to resolve the payment dispute. As this disputes fades, we look forward to hearing what Haley will tell a Congressional subcommittee Thursday about Gulf War illnesses. He theorizes that the troops were exposed to something over there that caused their illnesses. However, some scientists disagree whether the illnesses are related to Gulf War service or whether the symptoms are more prevalent among veterans than among the general population. 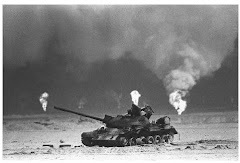 The fact that the causes of Gulf War illnesses remain unknown nearly two decades after the conflict is precisely the reason this research is so important. Findings could change the lives and treatment options for thousands who served their country. These men and women deserve answers.